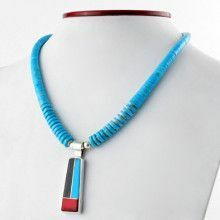 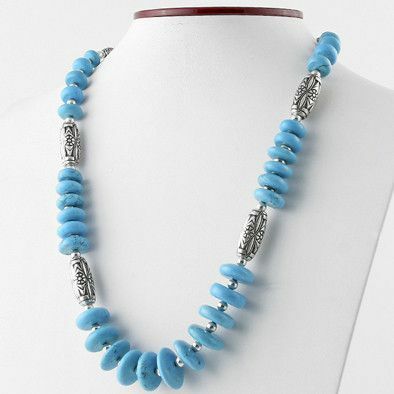 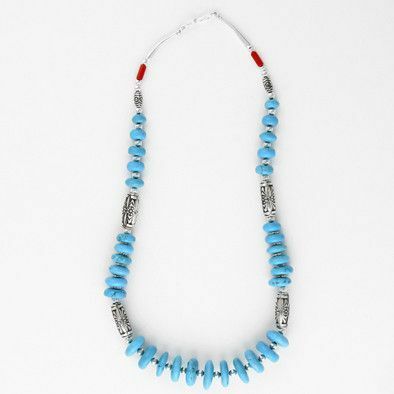 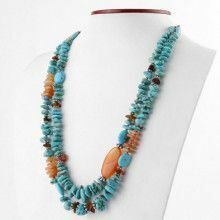 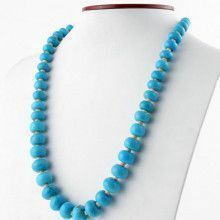 This big and beautiful turquoise beads necklace features a pattern of 100% genuine turquoise beads and stylized sterling silver beads and discs. 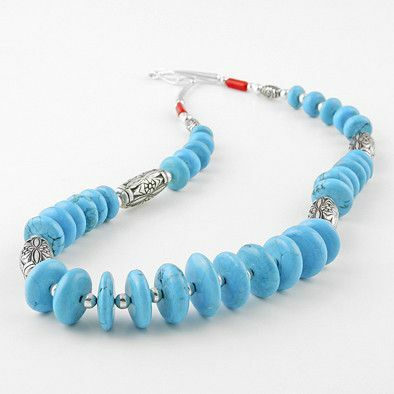 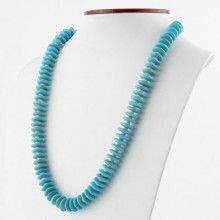 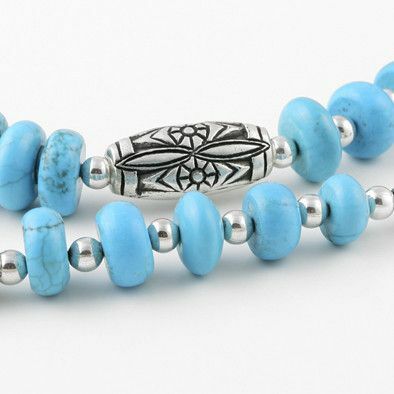 The elongated silver beads are about 1" long, and the largest turquoise beads are Approximately 3/4" in size. 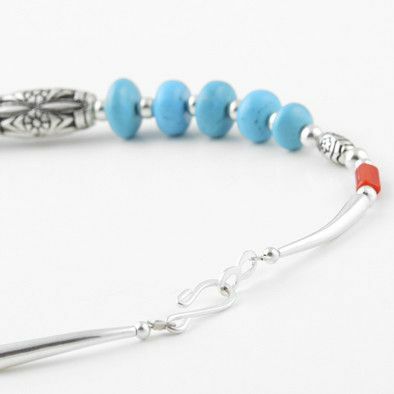 Towards the clasp there are two red coral accent beads. 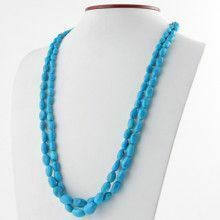 This 23" long necklace is fashion-forward and will definitely make a statement!